Only minutes north of Daytona Beach or an hour’s drive from Orlando-Disney, you’ll find 18 holes of the most challenging and beautiful holes of golf anywhere – and the PUBLIC is invited to play! 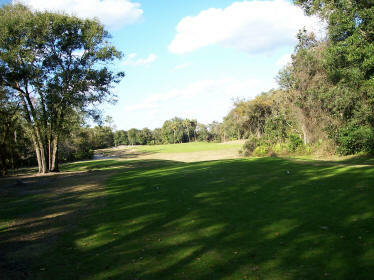 River Bend Golf Club is a year round public golf facility, nestled within 300 acres of woodlands and uniquely situated along the Tomoka River. It is a 6,821 yard, par 72 course. Each hole is distinctive, with such signature holes as #8 – the longest par 5 in the Halifax area at 616 yards, and #17 – one of the most picturesque par 3’s ever seen in Florida. You’ll discover that River Bend is designed to use every club in your bag! To add to your golfing pleasure, River Bend offers the finest practice facilities in the state, from the dual ended driving range, to the practice greens and fairway bunker, all to assist you in mastering even the most difficult shots. You’ll find rental clubs, a fleet of golf carts. a fully stocked pro shop, and a full service Club House. Our staff are ready to offer their teaching experience whenever needed! 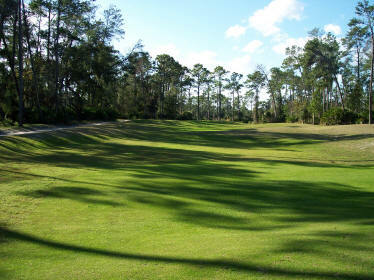 River Bend’s philosophy is to offer a high caliber golf facility to the general public at reasonable prices. The Tomoka River is designated as one of Florida’s “Outstanding Waters”, a “Manatee Sanctuary”, – one of only three natural waterways that flow perpendicular to the east coastline. The Tomoka is also know as an “Aquatic Preserve” making it one of the last unspoiled rivers in eastern Florida. It flows north to the Tomoka Basin and into the Halifax, and it is this meeting of fresh and salt waters which attracts the manatee. Along the west bank of the historic Tomoka River, you can enjoy seclusion and serenity in addition to the very best Florida golf. You may see a precious manatee swimming in the tepid waters, or catch sight of a curious muskrat peeking at you from behind a Florida Violet. You may hear a Laughing Gull from his perch in a Southern Red Cedar. During a round of golf at River Bend you’ll discover that preservation of the environment is a priority. From our Southern Colonial Club House, to the 18th hole, our significant wetlands have been protected. Even our Logo – Florida’s Gentle Giants – is a statement of our commitment to nature! River Bend architect, Lloyd Clifton is acclaimed for such courses as Hunter’s Creek in Orlando, Plantation Bay and Indigo Lakes in Daytona Beach, DeBary Plantation and many more exceptional courses throughout Florida. At River Bend, Mr. Clifton achieved his ultimate goal – a perfect blend of natural surroundings combined with a competitive and scenic golf course layout! 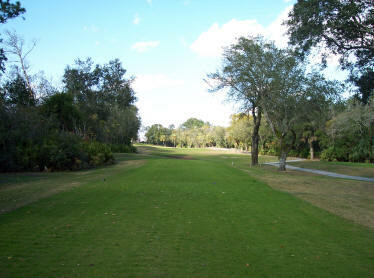 The course Gently slopes with the wetland boarders and on the south, contours gracefully with the flow of the Tomoka. Separation of the golf holes by the wetlands required environmental boardwalk crossings that are both beautiful and functional!